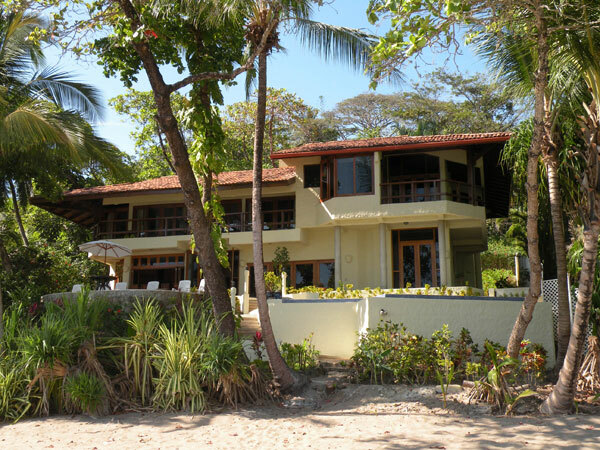 Read overlooking the azure and verdant views from the balcony of this Spectacular beach front house, and watch the howler monkeys that sometimes pass by in the palm and almendro trees. The house offers 6 bedrooms and 41/2 baths. 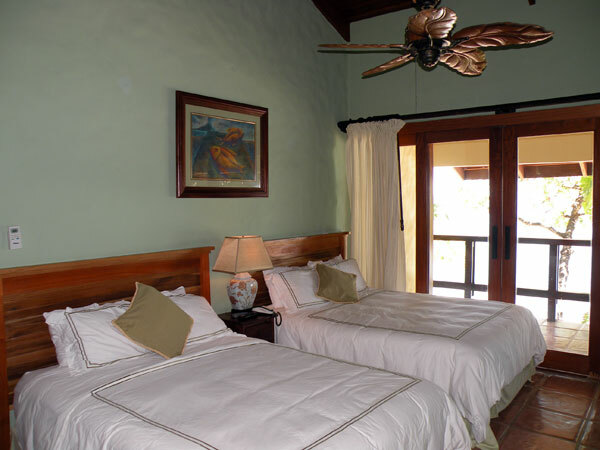 The house has the ability to sleep 12 very comfortably and is great for families and couples looking to relax and explore the natural Costa Rica. It is located inside the Tango Mar Beach Resort, so there are some activities and services available, for an extra fee, if you wish. The principal master suite is accessible by a sky lighted staircase accented with terra-cota colored ventilation blocks. The king size bed is in the center and leads to a deck outside overlooking the ocean and new, tiled infinity pool. 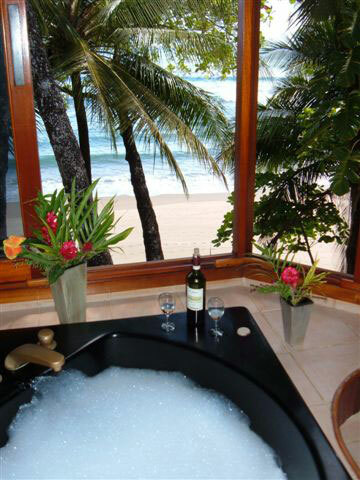 Through the sliding glass doors is the whirlpool tub adjacent to the tastefully open bathroom and shower. All upstairs bedrooms have cantilevered balconies and two have whirlpool tubs, flow through ventilation and air-conditioning, if desired. This home has a new oceanfront infinity pool with a special, salt balanced filtration system that softens the water while eliminating chlorine irritation. The house has a beautiful sun deck area and private, oceanfront balconies from most rooms, offering beach and jungle views. The balconies and openness of the house allow the ocean breezes to sweep through the house and normally A/C is not necessary, however it is installed for your comfort. 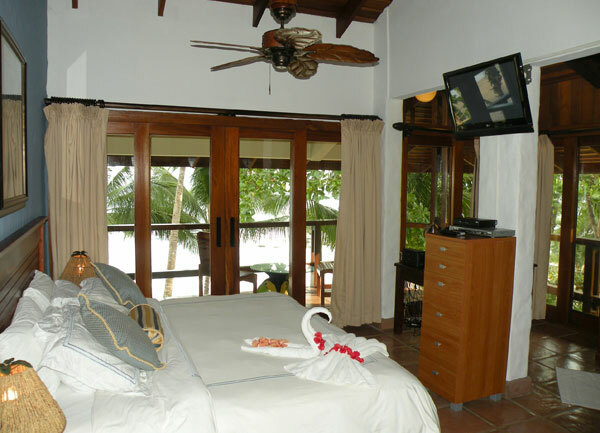 The bedrooms are large and 3 have whirlpool baths and 5 offer superb views of the ocean. All have comfortable beds, with an elegant, but tropical decor. The house is set within a small, lush area with palm trees and many other beautiful, tropical plants, where monkeys play and tropical birds whistle. 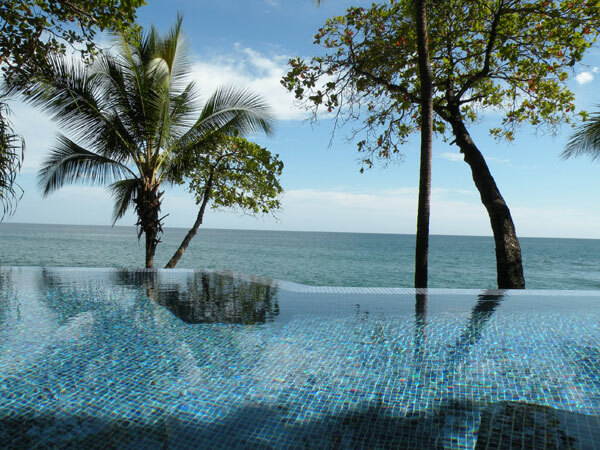 The area is famous for its waterfalls and Calm Ocean, as well as golden white sandy beaches that roll for miles and miles, turning this house into the perfect destination during your holidays in Costa Rica. We hope this additional information will answer most of your questions. What are the sleeping accommodations in the bedrooms? There are 6 bedrooms, 3 with private bathrooms, and one with a shared full bathroom between the two. (There is also a half-bath in the downstairs main living area.) Three bedrooms have whirlpool tubs, each a two person size. Three bedrooms have king size beds. One oceanfront bedroom downstairs has one queen bed, and the rear downstairs bedroom has two double beds. The bedroom in the center upstairs has a queen size bed. 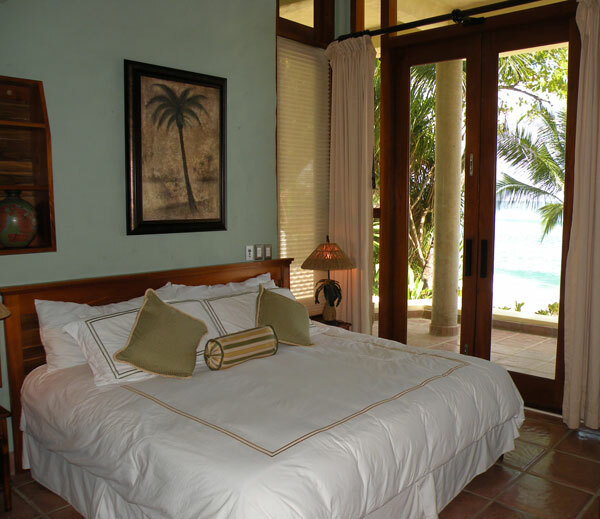 Casa Oceano can sleep up to 12 people. Smoking allowed? Please confine smoking to the open areas and do not smoke in a closed bedroom. Children welcome? Yes, however, because of the open railings upstairs, please do not allow small children on the upstairs bedroom balconies for safety reasons. How do we get there? The easiest way is to take a local hop flight from the San Jose International Airport, or the Liberia International Airport. That only takes about 25 minutes. We will pick you up at the Tambor airport. Total drive time from San Jose by taking the ferry is about 6 hours, including the 1 1/2 hours on the ferry. Do you have an all-inclusive meal plan? Yes, we can purchase your groceries for the week, including liquor, and if you like, supply you with a chef. 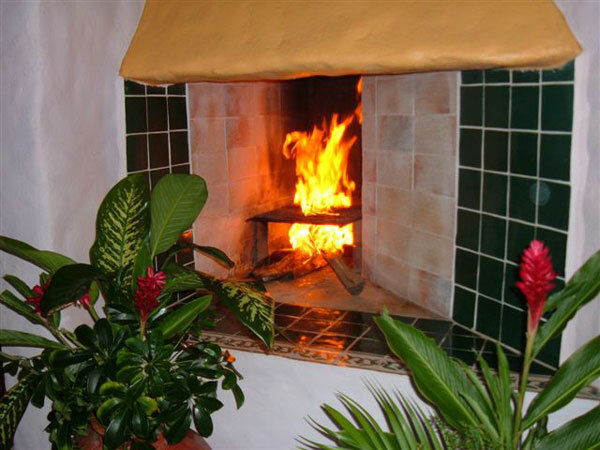 Casa Oceano has a gourmet kitchen with a gas, commercial Wolf range, large refrigerator and dishwasher. There is also a restaurant and snack bar on the beach at the Tango Mar Resort. Can we use the resort facilities? Most resort facilities, such as the restaurant, the beachside lunch restaurant and bar, spa, tennis courts and golf course are available at the normal hotel guest rates. Reservations are required. Please call the reception desk. Please do not use the hotel pools, as they are for hotels guests only. Is there local transportation? Yes, there are local taxis. If you take tours, transportation would normally be included in the tour rate. We can also include a comfortable air conditioned van and driver at a fixed cost, available at any time.